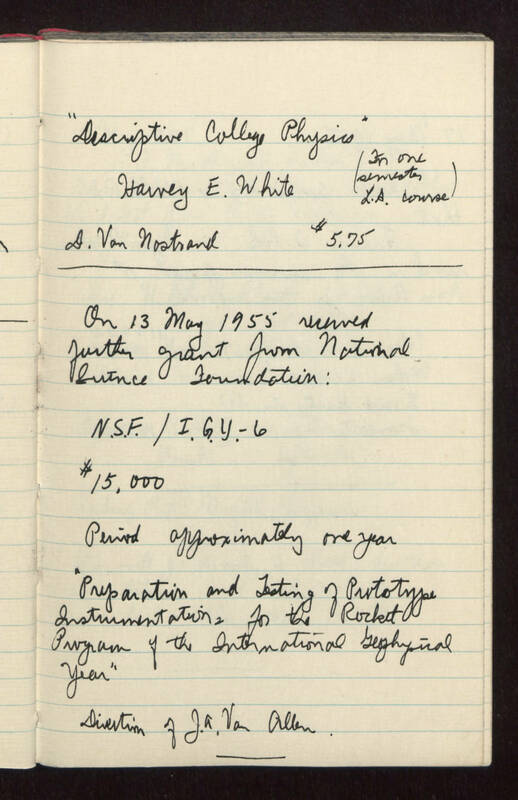 "Descriptive College Physics" Harvey E. White (For one semester L.A. course) D. Van Nostrand $5.75 ----------------------------------------------- On 13 May 1955 received further grant from National Science Foundation: N.S.F. / I.G.Y.-6 $15.000 Period approximately one year "Preparation and Testing of Prototype Instrumentations for the Rocket Program of the International Geophysical Year" Direction of J. A. Van Allen.